Join Us for a Holiday Open House! 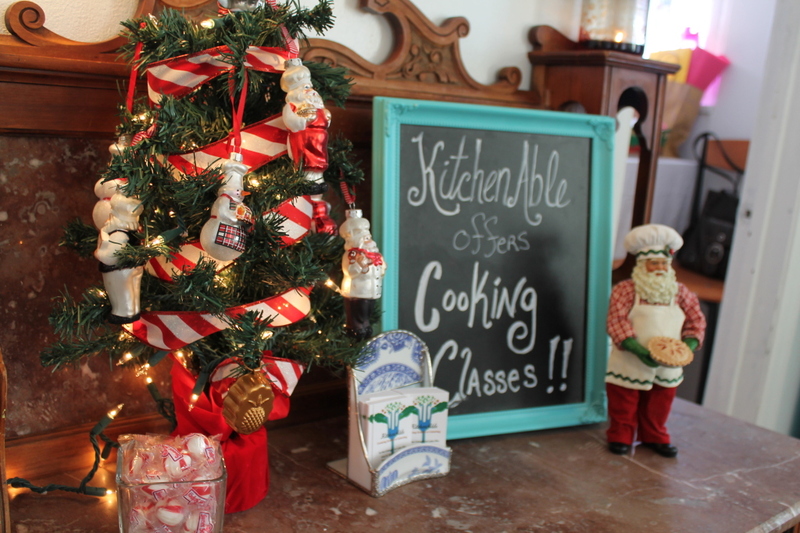 KitchenAble > Announcements > Upcoming Classes > Announcements > Join Us for a Holiday Open House! We are very excited to announce that we will be hosting a holiday open house Sunday, November 26, 1-5pm. We will feature artwork from local artists including Eluster Richardson and Karen Stewart (as well as Chef Jessica) available for purchase. We will also have a few gourmet gift ideas including tea, seasonings, and a very special olive oil. We will have refreshments including our famous Buche de Noel. Please join us for this free event, and invite a few friends! All attendees can enter our drawing for a free cooking class too.